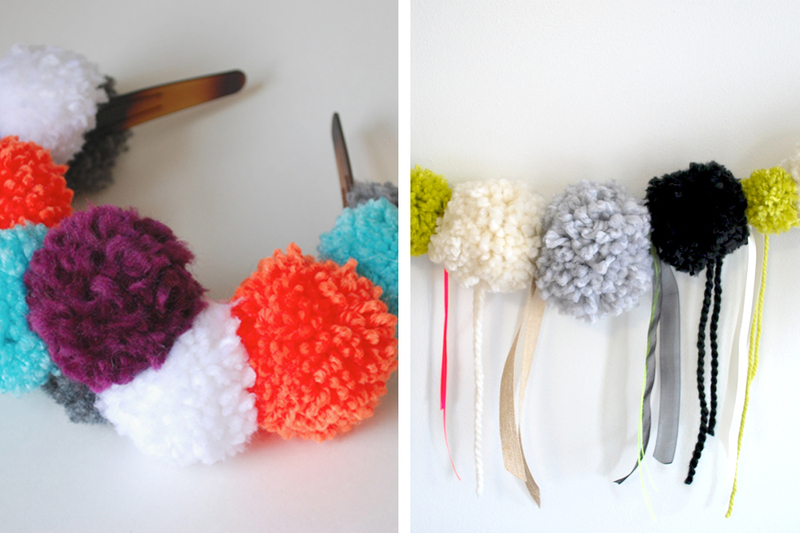 POM POMS AND TASSELS FOR WINTER! Pom poms and tassels are a universal symbol of fun, and when they’re used to create accessories like headbands, hats, mittens, and garlands, they become even more festive. Perfect for adding a bit of color and creativity to the upcoming winter months, Canadian Melanie Ön’s Little Knitty Things designs are are all hand-knit in Brooklyn and ready to be popped onto a cold head, or strung up on an empty wall, brightening even the greyest day.